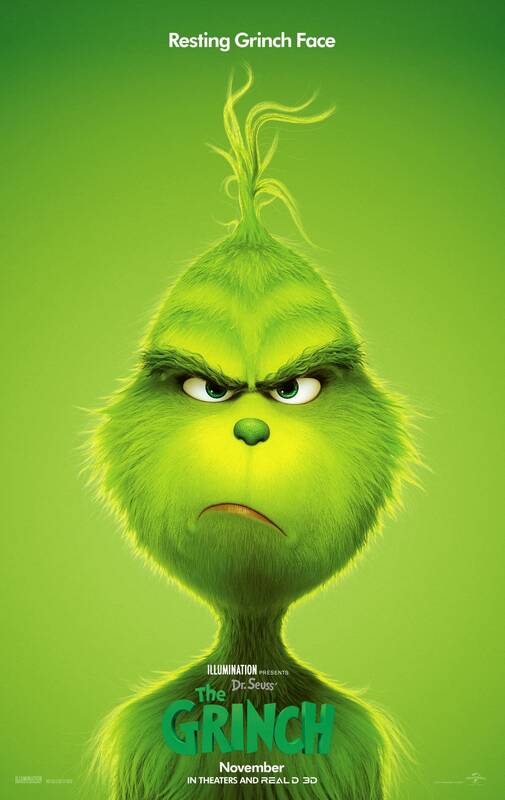 Universal Studios and Illumination Entertainment have released a new poster for the Dr. Seuss’ The Grinch ahead of the new trailer tomorrow. You can see the poster below for the film, which features the voice of Benedict Cumberbatch as the titular character. The film opens on November 9th. The Grinch tells the story of a cynical grump who goes on a mission to steal Christmas, only to have his heart changed by a young girl’s generous holiday spirit. Funny, heartwarming and visually stunning, it’s a universal story about the spirit of Christmas and the indomitable power of optimism. Cumberbatch lends his voice to the infamous Grinch, who lives a solitary life inside a cave on Mt. Crumpet with only his loyal dog, Max, for company. With a cave rigged with inventions and contraptions for his day-to-day needs, the Grinch only sees his neighbors in Who-ville when he runs out of food.